This past Tuesday I had the opportunity to travel down to Pine Mountain, GA and sit in on a morning session at IMPACT360. Impact is a one-year gap program designed to give young men and women the opportunity to establish a strong, Biblical world view before heading off to college, missions or wherever their next step is to take them. My son, Ben is a student there and has had an incredible time in his time there this year. In addition to catching up with Ben, I was looking forward to listening to Dr. Del Tackett, author and creator of the Truth Project. My wife and I have gone through the Truth Project a couple of times now and appreciate the depth of the study and all the “truths” uncovered during the course of the series. Dr. Tackett, like many others, will come to IMPACT and teach the students over a three day time period. I went that morning expecting to hear from God through whatever Dr. Tackett’s lesson would be for the day. I had no idea as I sat down that morning of the deep, lasting impact the next three hours would have on me. Even now, a week later, I am just now really starting to process all the things uncovered for me last Tuesday morning. There is no way to adequately cover everything that Dr. Tackett spoke of but hopefully, something I share of my own journey will be helpful to you, the readers, in some way. As the session began, Dr. Tackett began with a review of the previous day’s discussion. In the opening, he said – “the nature of God is always truth”. This was so profound to me, of course it is, but wow, how simple was that statement. In a day and time where truth seems so scarce, there it is; there it’s always been since God spoke the earth and heavens into existence and created man – TRUTH, has been there all along. So anytime, we are in the presence of God, studying His word, praying or worshiping Him through music, it means we are faced with Truth. Truth, God’s nature, exposes us and the culture around us. When we are exposed to truth, it calls us to action. We must decide to either ignore the truth as it’s revealed to us or to take action and do something with that which is revealed to us. 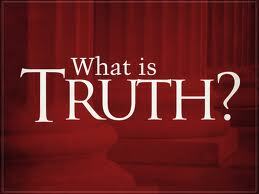 Make no mistake, to ignore it (truth), is an action as it represents a conscience choice. As he was sharing this I was processing the thought of flourishing spiritually and asking myself how well I was doing in this department. As I was pondering this Mr. Del said the following – “We tend to look inward at people instead of looking at the fruit they bear.” I looked at Mark 4:20 again: hear the word, accept it and produce a crop. I looked at it again and remembering the earlier talking point about truth – HEAR THE WORD (truth), ACCEPT IT (truth) and produce a crop (ACTION). In other words, it is not simply enough to know the truth, we are called to take action with the truth. The devil himself knows the truth and takes every action he can in preventing the truth from being told, shared with others. So how do we share the “truth”, take action if you will. John 15:5 – 5 “I am the vine; you are the branches. If you remain in me and I in you, you will bear much fruit; apart from me you can do nothing. I have camped out in John 15 over the last week, reading it over and over again. In verse 5 Jesus calls us to action by abiding in Him, and He will abide in us. In doing so, we will bear much fruit! Choosing not to abide in Him means we choose to do nothing. My prayer is that all of you who read this will take a moment and read this chapter for yourselves, with fresh eyes and an open heart. In Thursday’s post I will share with you my thoughts as Dr. Tackett transitioned into the “Great Question”. What is God’s will for my life?